Visiting Italy is like taking a pilgrimage because of its status as the Cradle of Christianity. Italy houses the Vatican, the Papal Seat. You will be humbled at how remarkable the etchings on the wall are (although some visitors would term it as graffiti). 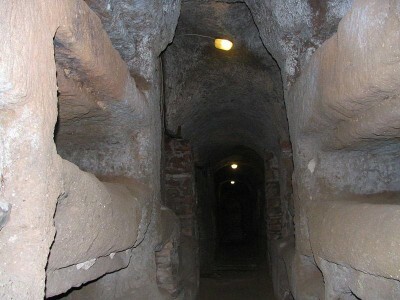 What you will see on the walls inside the Catacombs of St. Callixtus are the scenes of the early part of Christianity. Little do visitors know that the sarcophagus is not there for show, but they actually tell a story. You will find preserved etchings on the wall, which will surprise you when you see it. It is just like going back in time in the damp and cold feeling you will experience since the Catacombs of St. Callixtus are found several floors deep. Callixtus was the Pope during the building of these catacombs, and he was also one of the 16 Popes laid to rest in this place. Do bring your cameras but let it be known that whenever you capture these places, you will never know what image may come with the place. You see, this is also considered as one of the places to see and feel ghosts. This is not for the faint-hearted, but if you want to relive what happened at the dawn of time, this place is a must see.